We Found One of Yellowstone National Parks Best Kept Camping Secrets! I LOVE living in an RV, but sometimes it can be hard to find time throughout the day where you have some time to just sit and enjoy some “me time”. It’s not like you can go to the other side of the house and close the door and enjoy half an hour away from it all. 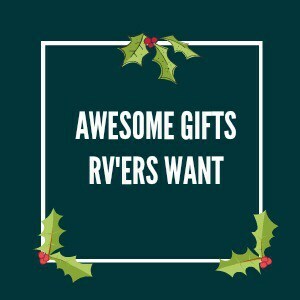 I realized this was the case after almost 2 1/2 years of LOVE living in an RV and I decided to change things up with the help of my husband so that we could each have some time away from the craziness. Don’t get me wrong-I love my kids- it took us years of trying to finally have a family so I am truly grateful to have these two munchkins in my life. But it is also hard to spend every waking moment with them – they no longer go to school, they don’t do sleepovers, we don’t have family close by and right now we’re in the middle of summer and the days are LOOOooong!. They are up at 7 am and don’t go down until close to 10 pm. That’s a 15 hour day WITH THE KIDS. I hear it from my friends all the time, “I can’t wait for summer to be over so the kids can go back to school’ Well homeschooling means that mine never do and that means there is no “me time” throughout the day. 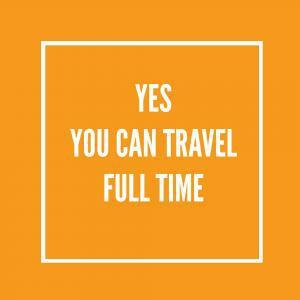 Yes we choose to travel full-time with our family, but I still need some ‘me’ time! A Little Bit of Distance Goes a Long Way. Distance makes the heart grow fonder and familiarity breeds contempt. These 2 sayings ring true when you spend 24-7 with the kiddos! I am SO MUCH better with my kids when I miss them. Missing them makes me appreciate them so much more. A little time for perspective is a wonderful thing. I ache when I’m not with them and that’s okay. That’s the way it should be right? I love pulling into our home and having them run up to me wanting to give me the biggest hugs and kisses and tell me how much they miss me. That doesn’t happen if I go don’t go away. Unfortunately, it took me until the beginning of this year, almost 2 1/2 years after we started this journey to realize that! We decided that we needed some “me time” when we were in Pensacola Beach, FL. I can’t remember the reason- something to do with our internet, but I ended up heading over to Starbucks to do some work on their WIFI. I was gone for a few hours and realized how much it improved my disposition. I got a lot of work done and really couldn’t wait to get home. So Frank and I decided that we should make this a practice- once a week we would each head off for a few hours to do…whatever. It worked great. we both really enjoyed the time away and were so happy to get back and do stuff with the kids. Over the past few months, we have refined our practices and have found fun ways to get some time away to work and reflect. 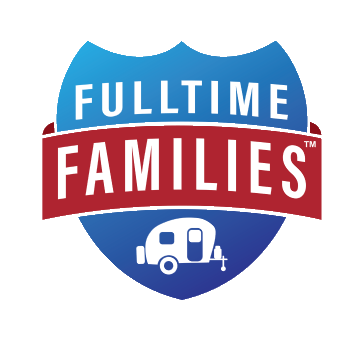 Finding ‘me time’ traveling in an RV is much different than finding ‘me time’ at home in a comfy house. Here are 10 ways that I have managed to find ‘me time’ while living in an RV. 1. Find A Starbucks Or Something Similar. In Pensacola, we had a Starbucks in town, which was about 3 miles away- over the bridge in Gulf Breeze. I would pack my laptop and walk to Starbucks. It took me about 25 minutes to walk there and the walk itself was so therapeutic. Walking by the ocean listening to my iPod, worrying about no-one but myself. I was already in another place by the time I arrived in Starbucks. I found that I became so productive at work, I don’t know if it was because I had no distractions or because I was removed from the hassles of home. During my time at Starbucks, I managed to fit 10 hours of work into 4, I was so productive it was ridiculous. I know part of it was the fact that I didn’t have a child hanging off me asking me questions every 2 seconds. It’s amazing how kids can step over their dad, open the door to the bedroom and ask mom for something. Really!! Even when you tell them that mom is taking some time to herself or mom is working, they still come right on in. So for me Starbucks was great and I was able to get a lot done (I get stressed when I’m behind on work), but even if you don’t work, bring your iPad or kindle with you and scroll through the news, or read a magazine. It doesn’t matter what you do, what matters is that you have the time and space to just sit back and enjoy some downtime. We have been in places where there is absolutely nowhere close by that we can go to, so we’ll just take a walk. It doesn’t have to be far away, just enough space between you and everyone else. I’ll usually take a book with me or if I have a blog post to write, I’ll take a notebook so I can write on it. I’ll sit and enjoy what is around me, even take a nap. Every single time I call a friend, the kids interrupt and need something. It never fails every time. It’s as though they have an alarm and know when I am doing something for me. I miss my friends and don’t get to talk to them enough. Thankfully they know how busy I am and how because of the lack of a daily schedule I sometimes don’t think about calling them until the kids are down and I have some “me time”. Of course, by then it’s too late because all my friends are on a different time schedule and I’m 2 hours behind! I don’t think they want to hear from me at 10:00 at night! Make the time to call a friend and have a good old chat. I did that today, I walked away from the kids to the far side of the campground and chatted with a friend for almost 45 minutes. It was awesome. Take the car and drive around until you find a spot that you want to chillax at. Take a book or your laptop with you and enjoy the quiet time! Put on some music, put the seat back and close your eyes for a few minutes, heck for an hour, you deserve it! We usually stay in places for a month, if you enjoy taking yoga, find a class nearby and sign yourself up for a weekly class, this will get you out meeting other moms and give you that much needed alone time. The kids don’t want to go everywhere we do. Sometimes we bring them anyway and it turns into a moaning, whining day where you wish you had just stayed home. Take this opportunity to enjoy it on your own. I spent a glorious morning exploring downtown Pensacola and wandering in and out of shops that the kids would have hated, but I loved it. I can’t remember the last time I saw an adult movie in a theater. I think it was Bourne Identity in Dublin, Ireland about ten years ago. Now that I’ve said that out loud, that’s ridiculously sad. If you are the type who loves to go for a run or a walk. Make a plan to do that every week. You deserve this time and you need it to keep your family running smoothly. A little bit of exercise every day can really help on every level. Not to mention just using that time to think. Whether or not you are a morning person, kids will turn you into one. There is just no choice in it. Snuggles and kisses are the best way to wake up in the morning anyway. Talking to a friend I met through the RV world, she mentioned getting up at 5 am every morning and how that was her time alone. Personally I thought she was crazy for getting up that early in the morning! My wake up time was 7 am and no way was I getting up earlier than that. Fast forward 6 months and I AM that person. I get up at 5 am now and that’s my “me time.” I absolutely love it, it’s quiet and dark outside, I can sit and enjoy my tea, get some work done. So by the time the kids get up, I will already have 2 or 3 hours of work done and now I’m all theirs! Yes by 9 pm I’m totally pooped out but that’s okay. Frank and I do a little bit of work in the evening time but we stop by 8 pm and relax and put on some tv or Netflix depending where we are. I’m tucked up in bed now by 9:30. I know some of you would do anything to grocery shop on your own. The idea of strolling through aisles and browsing the sale items sets you off. Do that. Think about how nice it would be to stroll through a store without kids hanging off your arm asking for everything they see and touch. Try on 15 different outfits without someone telling you “I’m bored” every 5 seconds. My favorite part of “me time” is coming home to my family. I love the kisses and hugs from everyone, I love hearing how much they missed me and their stories of what happened while I was gone. I truly believe in order to be good moms we NEED to have time away to realize all that we have, it’s imperative to our well-being. “Me time” doesn’t need to happen every single week- life happens, but try to find time for you at least twice in a month. It doesn’t have to be for very long, even a short break can help. Don’t try to put a time limit on it, plan some “me time” and see what happens. When I went to Starbucks, I was gone for several hours and I was a whole new person when I came home. If you find that getting away is not possible, find a way to get outside on your own with a cup of tea or coffee and just sit and take it all in. A bit of effort to get some time away from it all can make a ton of difference- especially when you are full time living in an RV. Do you have any suggestions for getting some ‘me’ time while on the road?